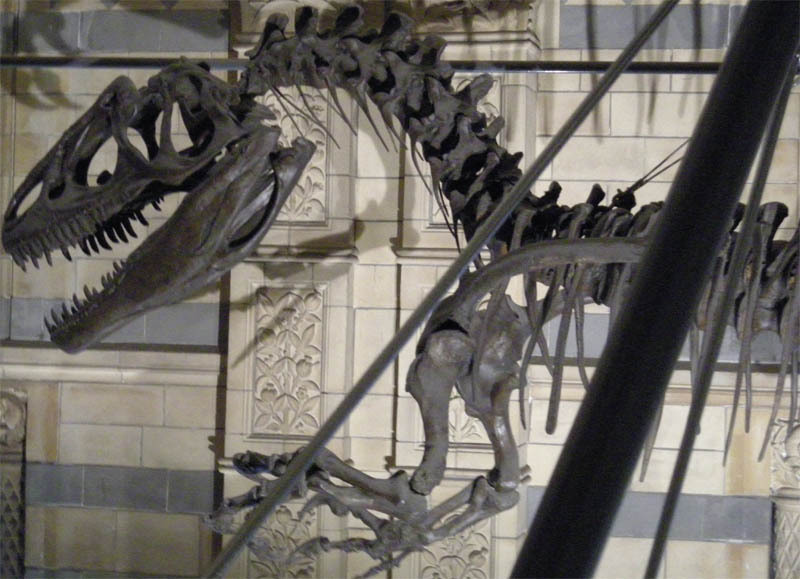 The Natural History Museum in London has a large collection of dinosaur skeletons and fossils as one of their major attractions. But also the large collection of stuffed animals and animal skeletons are impressive. In the big hall you will find things like a full size blue whale, Mammoth, Elephant and other very large animals. But you can also find very small animals in the museum. 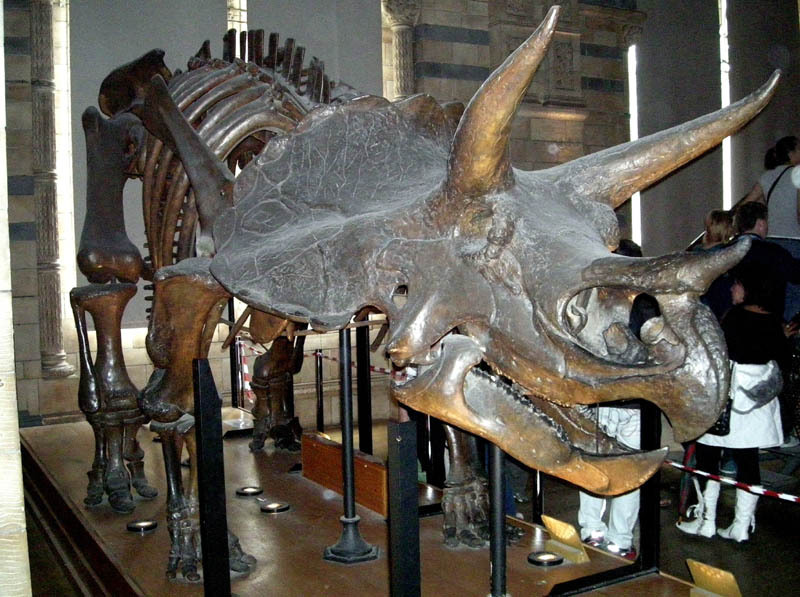 The dinosaurs have many different sizes at the Natural History Museum in London. 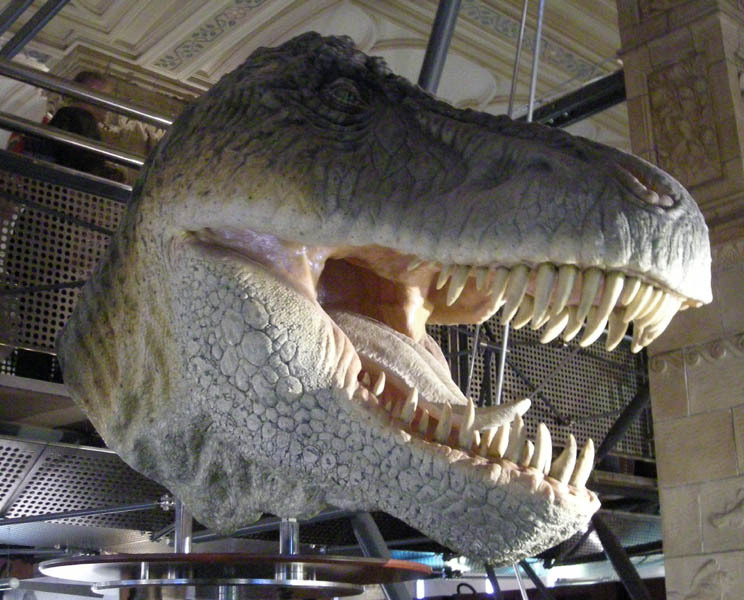 The dinosaurs at the Natural History Museum in London can be quite scary. 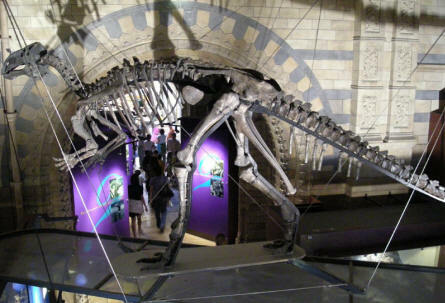 A dinasaur at the Natural History Museum in London. 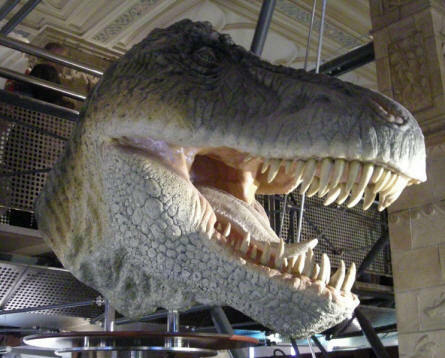 T-rex head at the Natural History Museum in London. 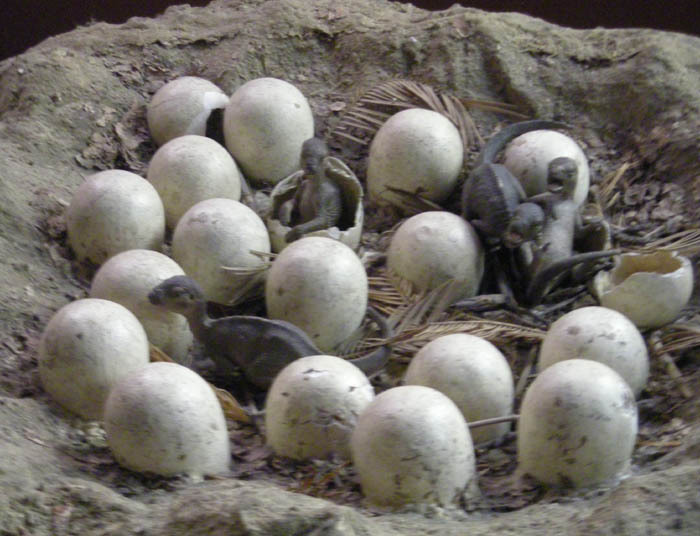 Dinosaur eggs hatching at the Natural History Museum in London. 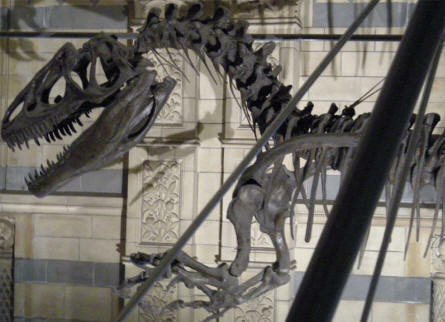 Mammoth skeleton at the Natural History Museum in London. 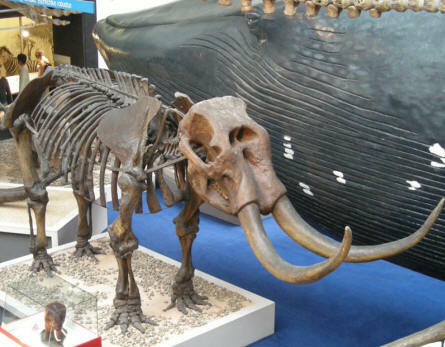 In the background a Blue Whale.